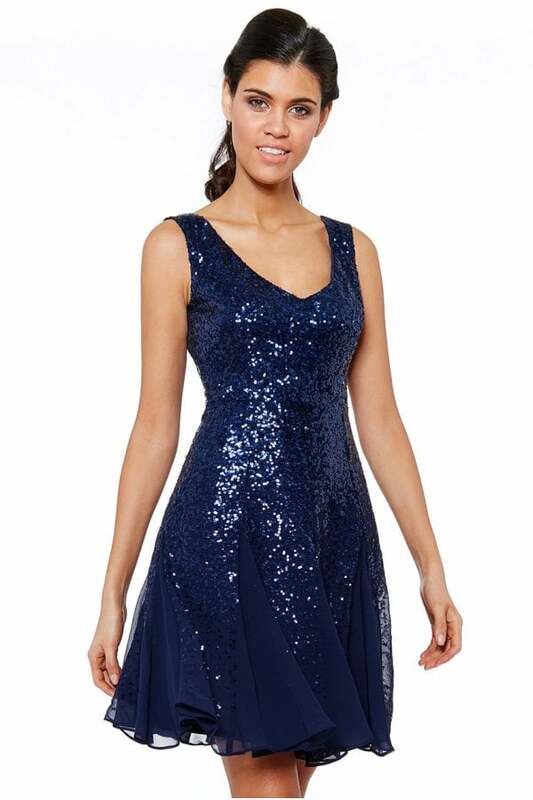 A happy bridesmaid makes a happy bride and that exactly what you will get with this fun sequin and chiffon mini dress. In its delightful colour, this bridesmaids dress is the flawless choice for your squad. Its short length, brings a young feel to an already sensational dress. This romantic bridesmaid dress is a modern twist to our bestselling maxi bridesmaids dress; along with its v neck and sleeveless style, this short dress is perfect for your special day. 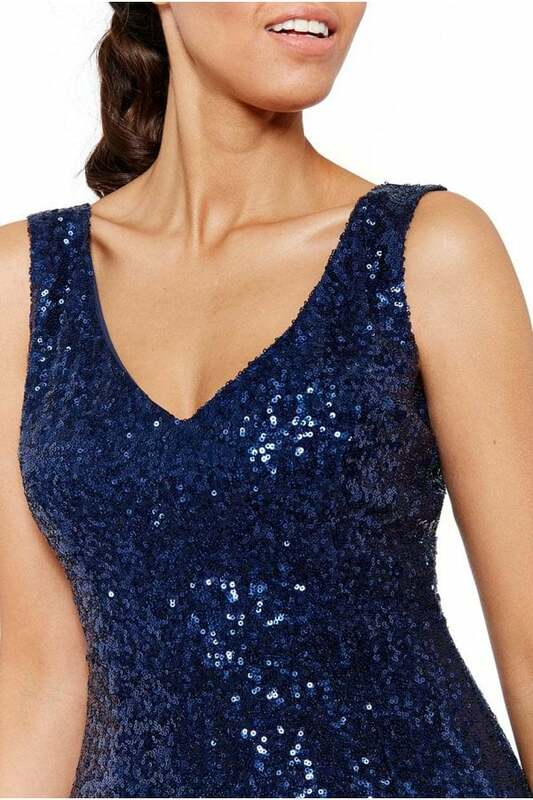 This comfortably elegant mini dress is so versatile, giving your dream team the option to wear again for another occasion, not to mention it’s a style that will not break the bank! Your bridesmaids should be a reflection of you, and this dress oozes with romance, elegance, class and charm. Your bridal party will be the most stunning girls you will ever see! 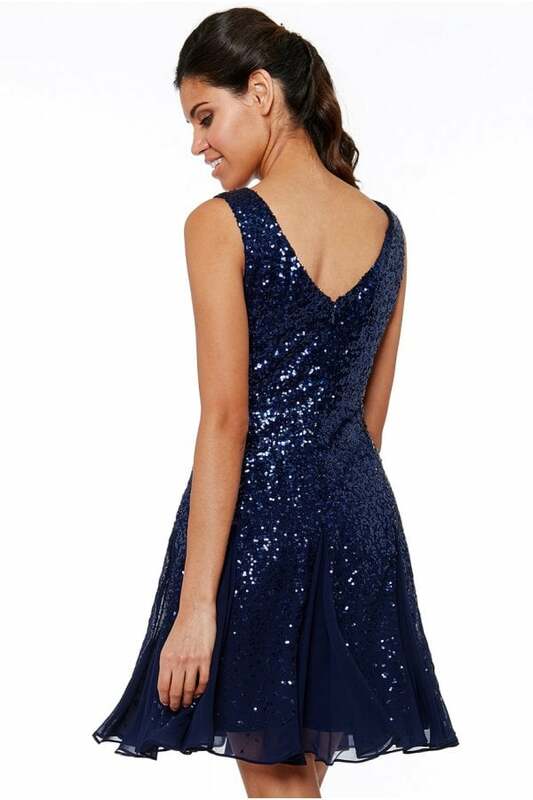 Mini length, sleeveless, pleated skirt, sequin and chiffon, invisible zip centre back, v neck back, hanger loops.